WIN MAMMA MIA! PRIZES WITH OUR '12 DAYS OF CHRISTMAS' PRIZE DRAW! Exciting news MAMMA MIA! fans! The holiday season is nearly upon us and we'll be giving you the chance to win some fabulous prizes in our MAMMA MIA! '12 Days of Christmas' Prize Draw! 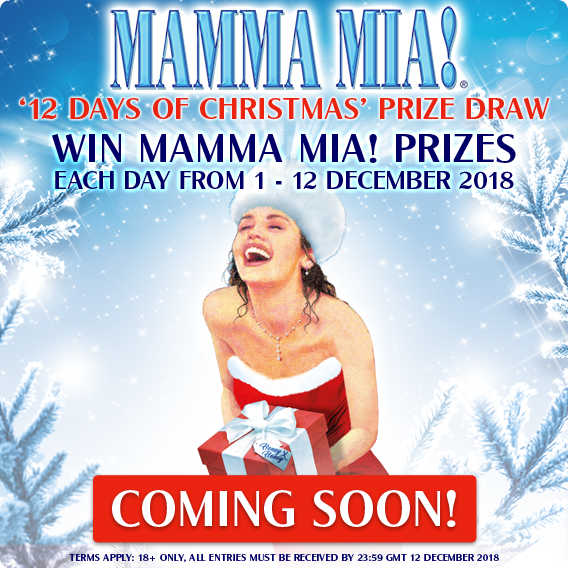 Each day from 1 - 12 December we'll reveal a new MAMMA MIA! prize that you can win. 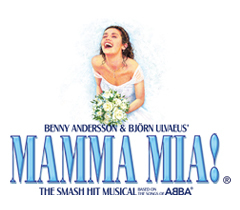 On 12 December all previous entries will be entered into a Grand Prize Draw to win the ultimate MAMMA MIA! goody bag! Don't forget to follow us on socials and check back on 1 December to see what you could win!